When Freedom first spotted the snapping turtle he went on to high alert. I know it looks small in the photo but in real life? It was a monster. It’s the time in the spring when the turtles lay their eggs. Many of them choose the field where we ride. Some of them are small, cute painted turtles. When they see a horse coming, their immediate response is to draw in all appendages and stay very still. Some of them are snapping turtles. They are larger, a lot less cute, and have much more attitude. The exude a “don’t mess with me” vibe. That’s what we encountered today. 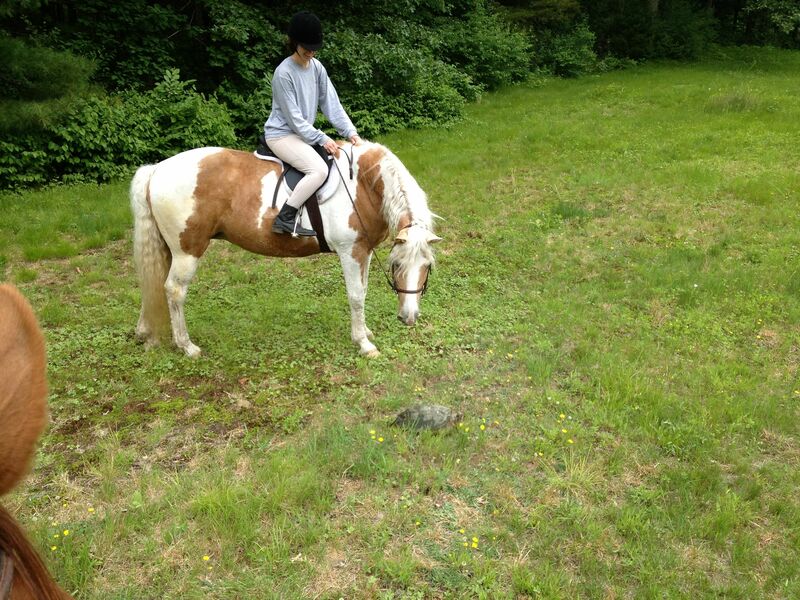 Freedom and I were warming up in the field next to the barn when he spotted it: a moving rock. On closer inspection it was a snapper. She did not look amused that we had interrupted her while she was laying her eggs. I know she looks tiny in the photo, but believe me when I say that in real life, she was big and very prehistoric looking. One minute we were cantering and the next we were at a dead stop, with Freedom snorting, every muscle tensed and ready to run. That was one scary rock because it was moving. Not much, mind you, but just enough for him to notice. He was pretty sure that it was dangerous, and maybe he had a point. He made darned sure that we came nowhere near it while we waited for Lindsay and Curly. Curly was much braver. She got right up next to the turtle. didn’t seem so scary to Curly, who walked right up to it and gave it a good once over. Bolstered by her bravery, we got maybe 20 feet away, but no closer. 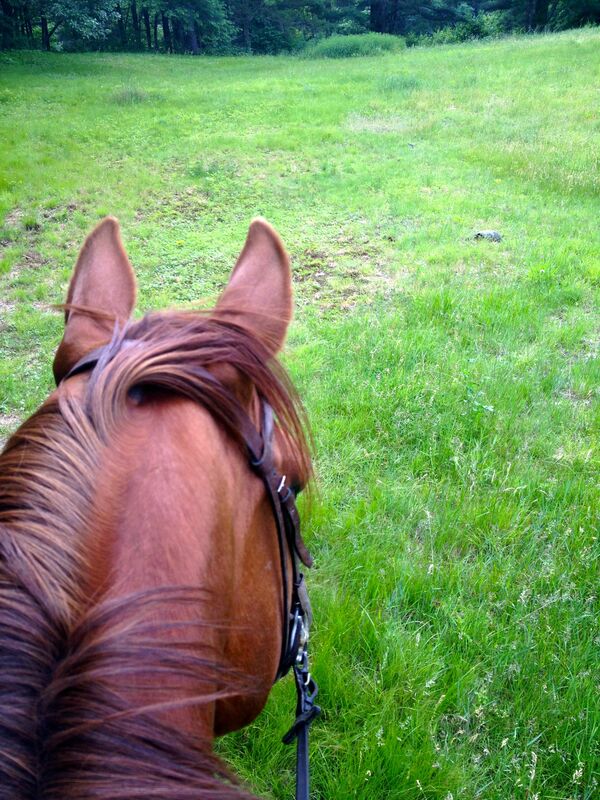 Freedom was on edge for the rest of our ride, especially going through the tall grass. He’s never liked riding through unmown fields and today he felt completely justified at spooking every time he heard a rustle or saw a small movement out of the corner of his eye. After all, those fields had to be full of turtles! Oh my! That would send my TB into the next county.